Most graduate programs in health care focus on either a specific health profession or management. Yet today’s health-care workers need both sets of skills to develop programs and successfully move into management and leadership positions. The innovative Master of Health Leadership and Policy (MHLP) degree blends together courses on health and policy with courses in business and leadership to create a unique educational experience. MHLP students spend 60 per cent of their time in the focus area of their degree – either Seniors Care or Clinical Education. The students in our Seniors Care program explore the policies and practices of seniors care in diverse settings. These include classes on the epidemiology of aging, on how health policy informs care, on how to use research and evidence to inform decisions, and on the environmental aspects of seniors care and how the built environment can support successful aging. Students in our Clinical Education program develop the foundational skill set to create education programs. They explore the theoretical foundations of clinical education, learn how to write curricula and review how to evaluate the effectiveness of their programs. A practicum in the final term brings everything together as students apply what they’ve learned in education programs or health-care settings. The MHLP’s business and leadership classes directly complement these courses. There are so many demands in the health-care setting, and clinicians need to know how to articulate the importance of their work, make the business case to get the funding and infrastructure needed for the program, and have the project management skills to put it all in place. Our graduates have the communication, management and leadership skills to manage projects and lead teams so they can translate their beliefs and values into practice. 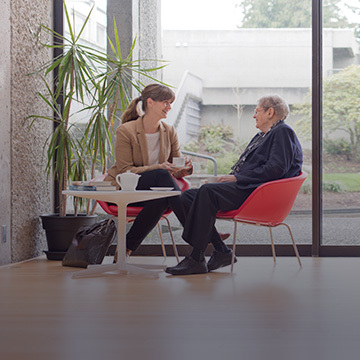 I’ve been at UBC since 2009 and my research in Seniors Care looks at ways to improve the inclusion of families in long-term care. What do older adults and their caregivers experience as they go through the health-care system and how can we bring these perspectives into research and practice? It’s evident that care needs to be informed by the people who receive it. Families have excellent ideas about how to make the system work more effectively, and I aim to bring that knowledge back to health-care practitioners and leaders, seeing how these ideas can fit within clinical practice guidelines and policies. I also do research related to Clinical Education and I have explored how to improve both pre-licensure and continuing education about caring for older adults across the continuum of care. I have also studied the important role of clinical instructors in pre-licensure education. For me, the MHLP is particularly exciting because of its interdisciplinary nature. Students come to our Clinical Education and Seniors Care programs with a range of experiences and backgrounds. Our students have backgrounds in nursing, social work, recreational therapy, gerontology, medicine and more. The diverse perspectives that result create a very rich and dynamic learning environment. Dr. Jennifer Baumbusch directs a research program on health-care delivery and nursing practice with older adults. Her focus is particularly in long-term residential care, the integration of families in care delivery, well-being among individuals with intellectual disabilities and their families, and knowledge translation. She has methodological expertise in critical ethnography and practice-close research. 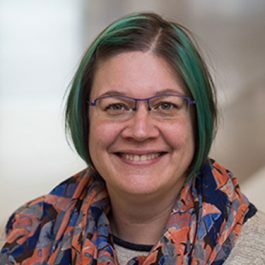 Jennifer is committed to community-based research principles through the active engagement of individuals, clinicians, service providers and organizations throughout the research process.